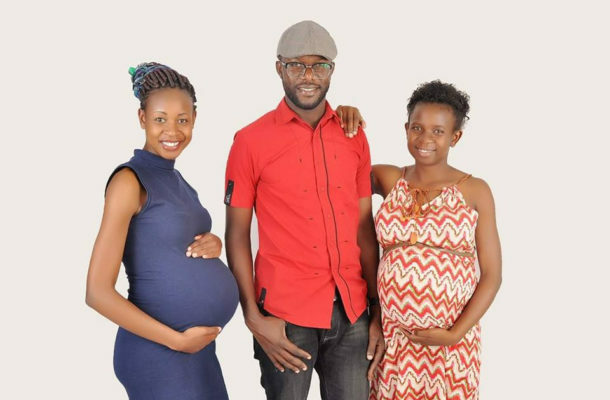 A Kenyan man identified as Collince Ojika is being hailed on social media after she shared a of himself with his two wives who are heavily pregnant. He captioned the photo: ‘’When God gives, you take with open hands. Blessings loading 2019’’. The photo has since sparked reactions from internet users with many calling Ojika a legend for getting his women pregnant at about the same time.